On Aug. 11, the Saginaw Chippewa Tribal Council offered their continued support against wolf hunting in Michigan. Tribal Public Relations Director Frank Cloutier informs the Keep Michigan Wolves Protected (KMWP) initiatives maintain Tribal support given from the Kequom Administration to Tribal Chief Steve Pego and his Council. Cloutier was encouraged that three major newspaper groups (the Lansing State Journal, Battle Creek Enquirer and the statewide MLive Media Group) have urged the legislature to allow voters to determine the fate of wolf hunting in Michigan. 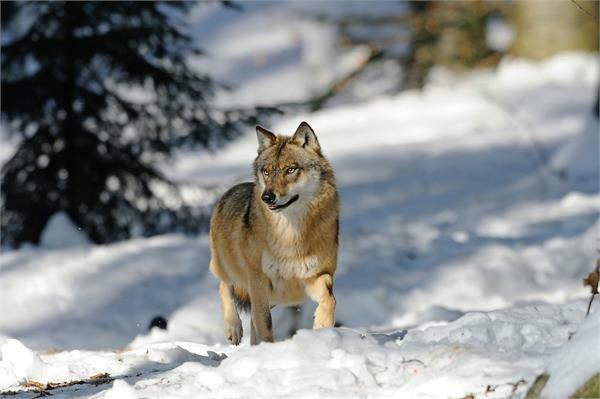 Cloutier mentions in recent editorials, all three asked the legislature to send to the November 4th ballot an initiative giving the Natural Resources Commission authority to designate wolves and other protected species as game. KMWP Director Jill Fritz attended a candlelight vigil hosted by the Saginaw Chippewa Indian Tribe on Nov. 14 and gathered community signatures against a wolf hunt during that event. The MLive Media Group Editorial Board, the parent company of MLive.com, is made up of the company’s executive leadership, content directors, and editors who oversee its 10 local markets. Those markets include Ann Arbor, Detroit, Bay City, Detroit, Flint, Grand Rapids, Jackson, Kalamazoo, Lansing, Muskegon and Saginaw. Last year, the NRC ignored testimony from wildlife experts and deleted thousands of emails from the public before designating the wolf as a game species and establishing Michigan’s first wolf hunt in more than four decades. In their rationale for the wolf hunt, NRC members used wolf-cattle depredation figures to justify their decision, even though two-thirds of the incidents occurred on one poorly managed Upper Peninsula farm. In March 2013, Keep Michigan Wolves Protected submitted more than 255,000 signatures to overturn a wolf-hunting law (Public Act 520 of 2012) that was approved during the 2012 lame duck session and based on fabricated stories about wolf incidents in the U.P. Public Act 520 will be on the November 2014 ballot, and should be rejected with a “no” vote. The Legislature, ignoring the people, then passed a second law (Public Act 21 of 2013) to give the political appointees on the Natural Resources Commission the power to designate game species. In March 2014, Keep Michigan Protected submitted more than 225,000 signatures to place Public Act 21 on the November 2014 ballot, and should also be rejected with a “no” vote. Keep Michigan Wolves Protected is supported by humane organizations, more than 100 Michigan veterinarians and veterinary hospitals, Native American tribes, conservation groups, faith-based organizations, the Detroit Zoological Society, leading wolf biologists including Michigan Tech professors Rolf Peterson and John Vucetich, rank-and-file hunters and many other concerned Michiganders.